Every two weeks or so we personally deliver your order direct from our farm for you to pickup at locations in Omaha, Lincoln and other parts of Eastern Nebraska. TO GET STARTED: Just send us an email to let us know you're interested. A few days before delivery date, you'll get an email with confirmation of delivery time and locations. You can email your order and we'll confirm it. You pay when you pick it up. It's that simple. 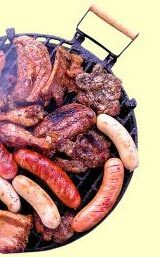 then browse our site to view the possibilities of pastured meats for your family table. 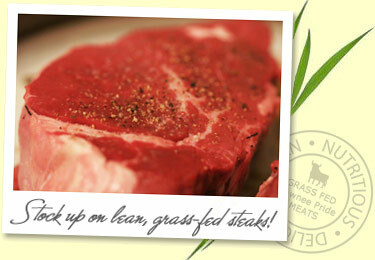 We appreciate your interest in grassfed meats and sustainable ranching. What Makes Pawnee Pride Grass-Fed Meats Unique? We believe that we have some advantages that you will want to explore. Allen Nation, editor of the GrassFarmer, calls these "unfair" advantages. Perhaps our greatest unfair advantage is our location. Not only are we located near enough to population centers to be accessible but far enough from them to not be influenced by urbanization. The bonus is that we are in the heart of the largest remnant of virgin, tallgrass prairie in Nebraska. It is generally acknowledged that the most nutritious food comes from the most pristine environments. Our second unfair advantage is our background. The Rohrbaugh family has a unique heritage of ranching, forestry, grocery, professional meat cutting, land management and a love of the outdoors. These skills and interests have served us well along the way. Last but not least is experience. We have been on the land for over 35 years. We helped it evolve from a diversified family farm, to a grass-farm, to what is now a sustainable meat producing ranch. We have learned from customers for over 25 years and have grown up with the local food movement. We see our ranch as a grassland food chain beginning with the organisms in the soil and ending with the healthy bodies of the folks eating our meat. We recognize that all organisms in this food chain are connected and we take care to nourish each one. The feeding journey begins with land stewardship. We are committed to building the soil through the encouragement of plant diversity and managed animal impacts. Properly done, this stimulates soil life and restores organic matter to the soil. Organic matter provides habitat for organisms that turn it into plant nutrients as well as increasing water- holding capacity. This of course increases plant growth, diversity and nutrition for our animals. The next step of our journey along the food chain is to select animals that can utilize this increased nutrition. We select heritage breeds that are hardy, thrifty and produce good tasting meat. Finally these animals are harvested and processed in nearby family operated plants to become our food. Pawnee Pride is pleased to offer our grass-fed meat products through the Village Pointe Farmer's Market, Ideal Grocery in Lincoln, it's CSA, and neighborhood deliveries. Please browse our site for additional information and details. HeartlandHealing.com - Omaha's natural health information source.